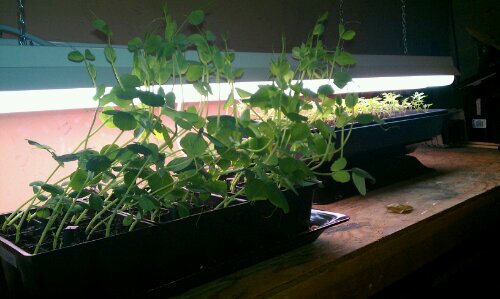 Kate and I planted these pea and kale seedlings out in the garden today…oh, how I missed gardening in the rain. Hopefully these 32 kale plants will survive and produce incredible amounts of proteinaceous vitamin-filled leafy greens for our chickenlets. About 4 days after planting them out in the garden bed, 75% of them are still alive, 20% are chewed down to the stems, and 5% are just…gone. 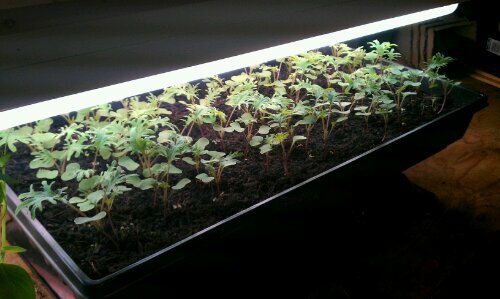 I’ll be happy if half of them turn into real grown up plants. When David and i come back from our Idaho visit, we’ll put up a protective cloche over these guys to keep them alive and a bit more productive through the rain and cold. The tomatoes are finally slowing down… but we still can’t keep up. After two long weekends out of town, we have bowls of uneaten tomatoes, and i worry that most of the plants outside will be rotted. Still hoping that we’ll get back in time to either put a cover over them to keep most of the rain off, or pull up the plants and hang them upside down to let the green tomatoes ripen- a trick learned from Kate and Dave. 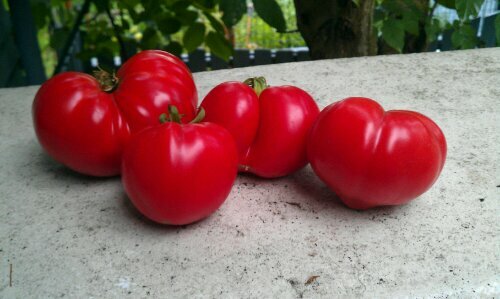 Apparently the ripeness flows out of the vines and into the tomatoes without causing them to rot, and you have ripe tomatoes through the winter. Look at these Beauts! Holy moly. 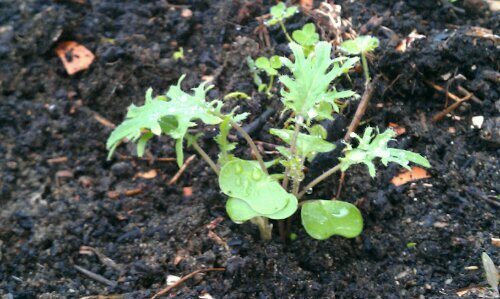 Baby kale transplanted into a garden bed covered with compost from the worm bin. 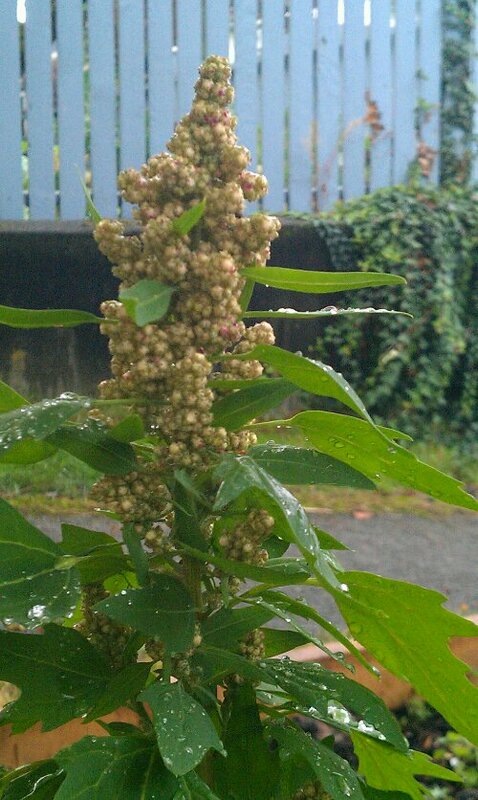 Thought i’d try quinoa this year… just for fun. 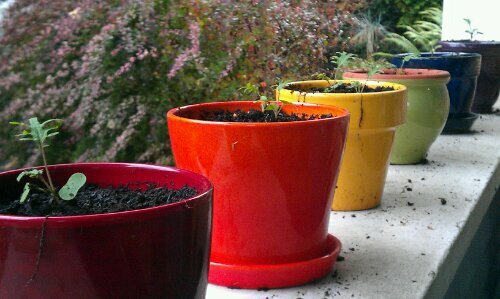 We put the last of the kale seedlings in pots on the front porch.